Threatening rain all day, the skies opened up just before 4:00 p.m., but only briefly for about 10 minutes. Praise the Lord! Some went home to change while others took their chances, drying in place. (Makes you feel like a kid again, doesn’t it?) The faithful and our friends gathered in the church parking lot and under a big tent, servers manned their stations. (We’re a big tent kind of church.) At one point, the customers were coming by in droves, making it difficult to keep up. No wonder! On tap we had tasty pulled pork sandwiches, baked beans, homemade coleslaw made from a secret Everitt family recipe, sauerkraut and lemonade. (For $1,000,000 donated to the United First Presbyterian Church of Amwell at Larison’s Corner, we’ll disclose….) We then enjoyed a few hours of congenial conversation followed by the best homemade ice cream in Hunterdon County—mint chocolate chip—and chocolate, just in case you were wondering. Dave Bond, no relation to James, auctioned off the remaining pork in his best auctioneer’s voice. (Dave is much better looking.) A great time of fun and fellowship was had by all. You should have been there! Thanks to those in attendance, we were able to make a nice donation to the Flemington Area Food Pantry, one of our outreach missions. 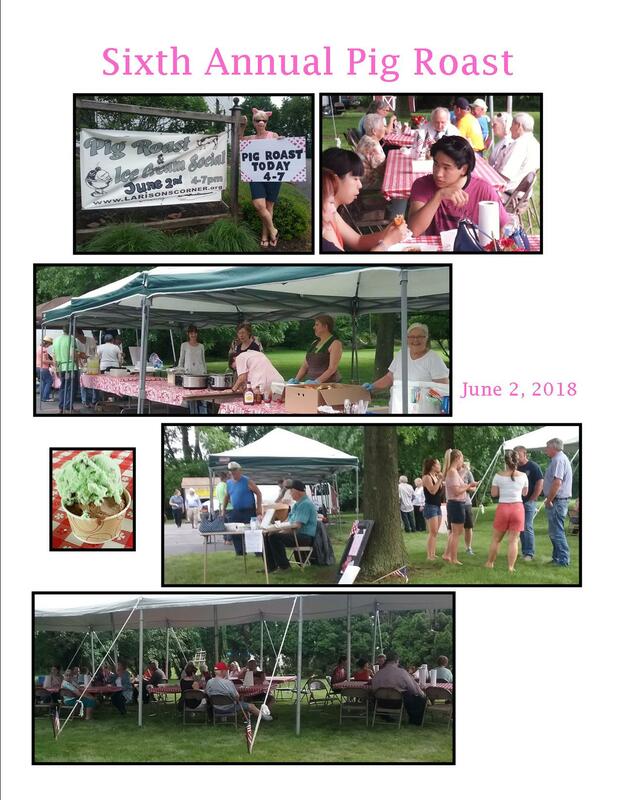 Here’s to the 7th Annual Pig Roast and Homemade Ice Cream Social in 2019!